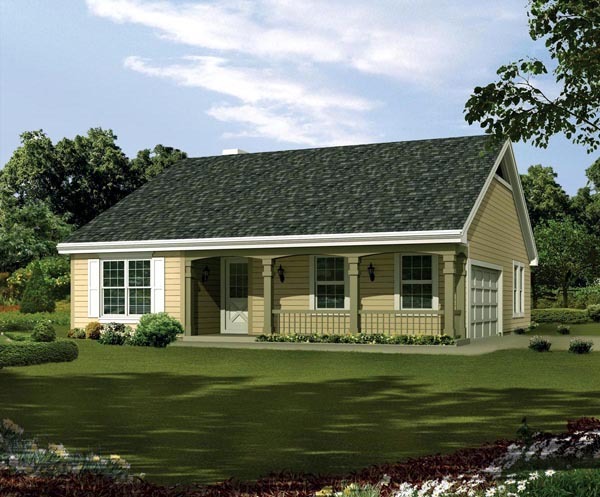 This compact cottage has 3 bedrooms and 2 full baths. All the necessary ingredients provided in a simple structure that's affordable to build. 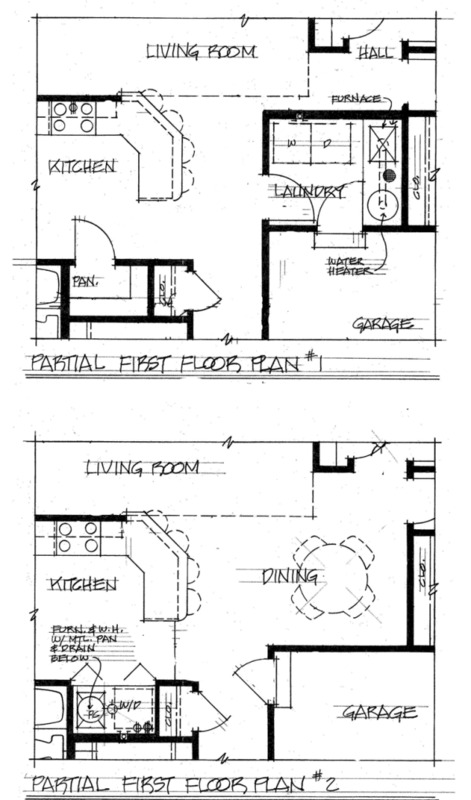 The vaulted living room features a fireplace, dining area and access to the rear patio. An angled snack bar is the highlight of this well-planned U-shaped kitchen.